Diablo III: Reaper of Souls is the first expansion pack for the action role-playing video game Diablo III. It was revealed at Gamescom 2013. It was released for the PC and Mac versions of Diablo III on March 25, 2014. Blizzard later ported Reaper of Souls to console versions of Diablo III. The expansion pack content was released as part of the Diablo III: Ultimate Evil Edition version for consoles on August 19 for the PlayStation 4, Xbox One, PlayStation 3, and Xbox 360. 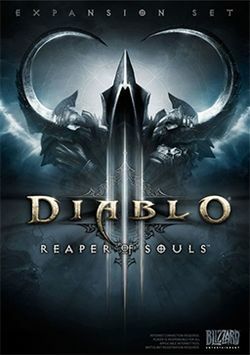 That edition expanded the base Diablo III game on the PlayStation 3 and Xbox 360, and brought the game for the first time to the PlayStation 4 and Xbox One. This page was last edited on 23 September 2014, at 17:10.